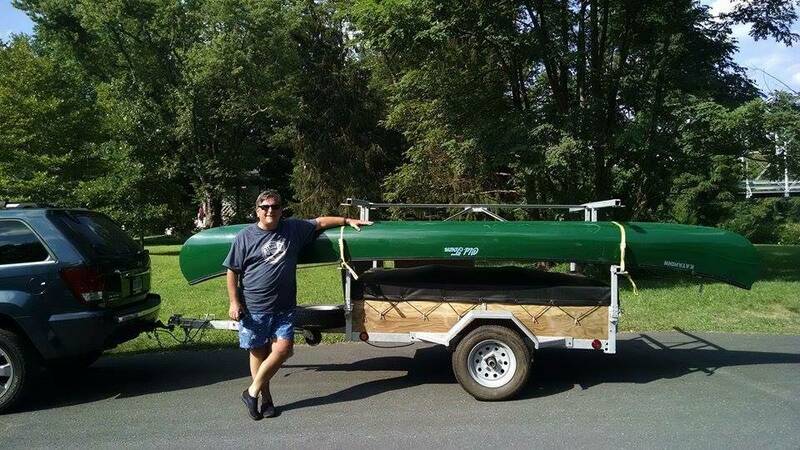 Gary from Avon, Connecticut bought a canoe trailer and had it shipped to his house. He got the 4 place canoe trailer with LED lights. Gary was so thrilled and happy with his trailer that he sent us a email….read his email below…. long trip on the interstate at reasonably high speed. Thank you Gary for your kind words!!!! !